Stopping smoking can be very hard to do, whatever your circumstances. Addiction can create a lot of physical and mental symptoms which can be very hard to overcome. Although some people are able to beat addiction on their own, the majority of people require at least some level of support. One level of support that is available to people across the United Kingdom is the NHS Stop Smoking service. Why does the NHS Offer Stop Smoking Services? Every year, hundreds of thousands of patients are forced to see their doctor because of smoking related health problems. The NHS spends billions of pounds on treating smoking-related problems which could have been prevented if patients had been able to quit smoking. Health professionals also understand how difficult it can be to stop smoking because of the physiological symptoms associated with withdrawal. 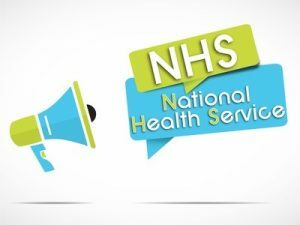 The NHS promotes these services because it is better for the health of the general population and because it is a more cost effective healthcare strategy. Stop Smoking clinics are staffed by experts who understand the pros and cons of all of the major methods which are used to help people to stop smoking. They are able to provide all patients with accurate, up-to-date information which is designed to help every person to find the strength to quit. As well as offering free support services, the Stop Smoking team are also able to point patients towards easy and affordable treatments such Champix and Zyban. They will not normally offer e-cigarettes or vaping products; because the NHS does not consider that enough research has been done yet into the health effects that these types of products might have on those who are using them. Some treatments may be available on prescription. If you wish to use prescription services, your advisor may require you to have regular meetings with them so that they can monitor your progress. They will be happy to talk to you about any problems that you have faced or any times that you have been tempted to smoke a cigarette. They may also want you to repeat tests, such as the carbon monoxide test. This isn’t a method of checking up on you, and they should not force you to do it if you don’t want to. Repeating the test can help to give you inspiration as you watch the levels of toxins decrease over time. Most patients will be able to take advantage of a one-on-one appointment with an advisor. During the session the advisor may ask a few personal questions which are designed to allow them to tailor their services towards that particular patient. They will find out why the patient thinks that they use cigarettes, and why they want to quit. The advisor may also want to talk about any previous attempts to quit and why these might have failed. The patient may also be offered certain tests, such as a carbon monoxide test, which will help the patient to see how much of the poisonous gas is currently in their blood. Depending on the area, these sessions may take place at a doctor’s surgery, a local pharmacy, a mobile clinic or any other local hub. Ask your GP for details about where local Stop Smoking services take place. In addition to one-on-one sessions, most Stop Smoking services also run group sessions too. Addiction research has shown that it is easier for people to quit an addictive substance when they have a solid support network. Support sessions enable people to share their experience with others who are going through the same thing, and allow groups of people to encourage one another along their journey together. Do Stop Smoking Services Work? The NHS believes that their services are an effective way for people to work towards stopping smoking. A spokesperson for the service has stated that the majority of people who visit a Stop Smoking service will manage to make it through the first month without using a cigarette. Overall, people who use the service are up to 4 times more likely to stay off of cigarettes for good if they speak to an advisor.